They say that time flies when you are having fun. By that measure, the fact that the last one year went by in the blink of an eye tells me something. 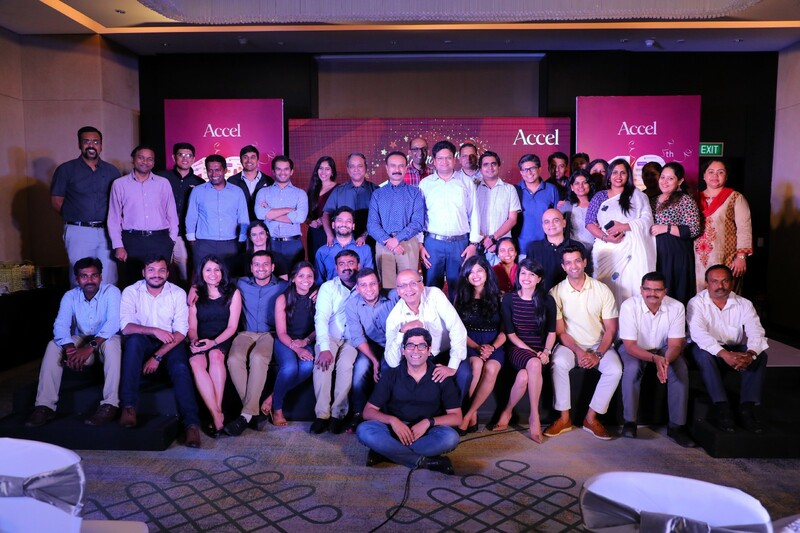 It has been exactly one year since I joined Accel India — and what a year it has been! This one-year anniversary is a good milestone for me to look back at my journey, refresh my memory, and capture some of the experiences I’ve had over this period. Like all other moments of introspection, this milestone is both a fitting occasion to look back at the past and vocalise my personal experiences and an opportunity for me to look ahead and plan for the future. Even though I have been in the Indian startup ecosystem for a long time, my interactions with VCs have, for the large part, been cosmetic. Like most other folks in the startup world, my impressions of VCs had primarily been from the outside-in — seeing them hold court at events or in gatherings where they were inevitably the center of attention, hordes of individuals clamoring for their time and attention. My ex-colleague Sangeeta Gupta from Nasscom had once suggested that I explore opportunities with a VC as they would be better able to leverage my skills. However, I had not given that idea any serious thought. Until that point in time, most of the opinions that I have heard about VCs were negative; “VCs have cushy lives,” I was told. They supposedly lived in ivory towers far removed from the ground-level realities of running startups and, more importantly, they only cared about money and didn’t have any kind of empathy for startup founders. This is why I was pretty sure that I didn’t want to be a part of the VC ecosystem. However, I then had the opportunity to interact and work with Shekhar Kirani of Accel. I witnessed firsthand how Shekhar was a dedicated and proactive volunteer at iSPIRT, contributing in numerous ways to the product/SaaS ecosystem. In all our interactions, I found Shekhar to be an extremely humble individual who would never talk down to other people and was always respectful to differing opinions. So when fate and circumstances placed me at a point in my professional life where I had to look at a fresh beginning, I approached Shekhar and shared some thoughts on how I could contribute to Accel. You can read more about that part of my journey here. Looking back, I am quite happy — and also more than a bit relieved — that not only have I survived at Accel for one year, but I also feel energised for the opportunity to continue making an impact on the ecosystem in the coming years. 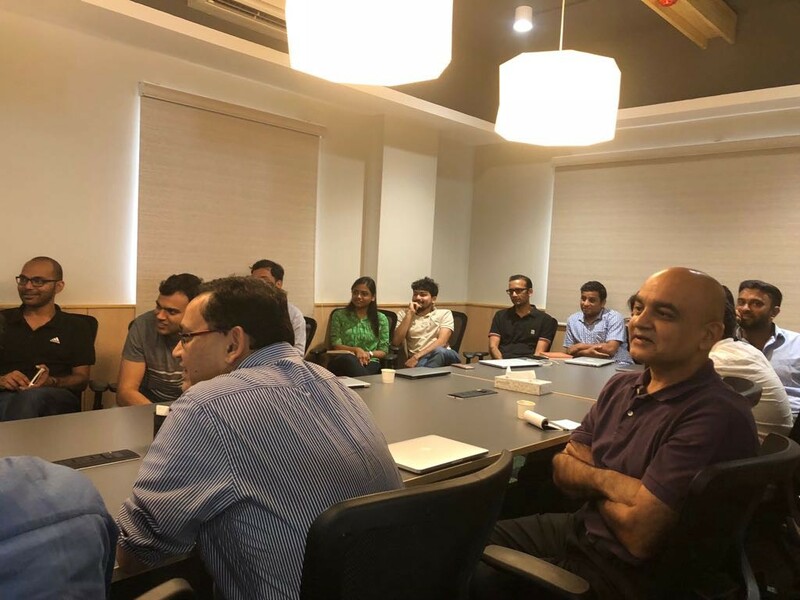 Because it definitely took a leap of faith on both Shekhar and Accel’s part (and in equal measure on mine) to come up with an arrangement that let us test the waters working together, let me share some thoughts on how the journey began. I arrived at the Accel office around 12:30 PM on my first day and was invited for lunch with all my new colleagues as soon as I joined. I was a little nervous as I was joining a workplace after 5 years and was also coming out of a spell of depression. One of my colleagues asked where I was coming from. I said Delhi — cringe! I didn’t realise at that moment that she was expecting to hear about my background and other such details. Luckily, Shekhar was kind enough to talk about the impact I had made towards the startup ecosystem over the years and also about the role that I would be playing at Accel. In the afternoon, the analysts were playing some games to which I got invited. I had no clue about the games themselves, but participated anyway… And promptly made a fool of myself. Despite this, the team was very kind and supportive, making me feel comfortable in what would be my new home. I regularly got invited to some of the social gatherings, off-sites, and informal get-togethers where I could freely interact with and open myself up to other colleagues in the Accel team. Nowadays, I do enjoy some interesting conversations at lunch. I have also learnt that the best time to meet some of the senior colleagues is during lunch. I started focussing on programs to help founders from the #AccelFamily learn from each other. As we have 120+ companies and over 200 founders, the objective was to figure out a way to make the group’s vast knowledge available to everyone else — specifically from companies in the growth stage to early/seed stage companies. Most of the founders were (and still are) happy to pay it forward and help next-gen founders succeed. I got a lot of support from my colleagues internally and managed to do 25+ events/workshops/roundtables in the last one year. The other crucial learning for me was that Accel as a workplace allows you to experiment and make mistakes. I was allowed to try a number of things and while not all of those succeeded, there was no finger-pointing or blame game for the attempts that didn’t quite work. Fortunately, a number of these initiatives also succeeded beyond my expectations. One of my best moments was the Accel Badminton Championship that saw participation from over 200 team members within the #AccelFamily. Apart from that, my colleague Anand Daniel and I have managed to kickstart the INSIGHTS Podcast series. It is both fun and educational to be part of these sessions. I’ve also been working on the Accel Insights blog, targeted towards first-time founders. As I mentioned earlier, I was apprehensive about working in the VC ecosystem as a vast majority of the founders in my network were saying largely negative things about VCs. There is a lot of fear and loathing! There is also the impression that a VC’s life is very easy — all that they need to do is meet companies, put money into the ones that make the cut, and finally sit back and relax while waiting for the returns to come in. But after working here, I have realised how much effort goes into what seems like a very simple and cushy job to the outside world. Meeting new companies is probably the easiest part of the job, but even there, deciding which ones to meet is a challenge. After all, each meeting takes up both time and mind space, two commodities that both VCs and startup founders value highly. For VCs, deciding to take a meeting is always a balancing act: on one hand, it means that you need to dedicate at least a few hours meeting the founder, but beyond that, the VC needs to invest many more hours researching and understanding the company and its market so that they can have an informed opinion on whether to go ahead or not. And saying “no” to meetings is also tough — there is always an overhanging FOMO (Fear Of Missing Out), a fear that choosing not to take a meeting might mean missing out on the next Flipkart or Freshworks. Founders often complain that they needed to pitch to 20+ investors before they secure a mandate, but it is easy to forget that on the other side of the fence, VCs invest in just one or two out of every hundred entrepreneurs that they meet. Though this means that the time spent on 98–99% of their meetings may not have been useful to them in a straightforward manner, they do gain lots of knowledge and new perspectives from each meeting they take. Moreover, if you believe that meeting companies is the only thing that VCs do, you would be mistaken. If anything, this is only the easiest part of the job. The actual work begins once the funding comes in. Every VC, at least here at Accel, is an active, hands-on investor. They work with the founders of portfolio companies as advisors, guides, and often, as agony aunts. I am 100% sure that if you ask any portfolio founder who their 3 AM friend is, there is a good chance that it will be the Accel partner who is on their board. There is a tonne of work and commitment on both sides of the fence. As the famous saying goes, you can get yourself out of a bad marriage but you can’t ever divorce your VC! All said and done, it has been an absolute privilege to work with the incredible, talented, and yet, humble people here at Accel. This year has been a great learning experience for me as it gave me an inside-out perspective on how a VC firm and the broader VC ecosystem works. On the outside looking in, people in the startup ecosystem have strong opinions and beliefs about VCs in general but crossing over the fence has opened my eyes in many ways. To date, I have spent almost 15 years in the not-for-profit world and my DNA had evolved into the not-for-profit. It was hard to imagine myself working in the for-profit world. For me, joining Accel was, in many ways, switching careers from the not-for-profit world to the for-profit world. However, I learnt that the objectives of both these seemingly different worlds are not all that different; The overall goal is to make a meaningful impact. In terms of nuts and bolts, it was a new work environment for me as I had been used to working in co-working spaces and cafes. At Accel, I got to build a community for all our portfolio companies while creating more awareness about Accel, a very interesting role indeed. The other big disruption that I managed to execute is the weekly commute between Bangalore and Delhi. Though it sounds quite tough, it’s not really a challenge when you enjoy your workplace and your work. In the coming years, I hope to settle down in Bangalore. My parents, wife, and kids have been very supportive of my work. I do my yoga, badminton, daily walks, and many other meetups to keep myself busy before and after office hours. The following are the most common questions that I get asked. This is my attempt to answer them as simply as I can. How do you approach a VC? The first question that every first-time founder seems to have regarding VCs is figuring out how to approach an investor. Every business idea needs a strong support system to help them get executed. VCs offer that support by adding value to your ideas and helping them grow into established businesses. But, every entrepreneur who has been on this journey knows the difficulty of finding the right VC to back his venture. One needs to stay in touch with the industry, do the right networking, and have good referrals. The entire process may be gruelling and time-consuming, especially for a first-time entrepreneur. Every venture capital firm is flooded with requests seeking investment in companies at various stages and in various industry verticals. It’s not an easy job to filter numerous investment requests and choose the right investment opportunities. The best way to get a meeting is to get a referral from a founder of an Accel-funded startup. Nothing beats a high-quality endorsement from a founder that Accel has already backed. Admittedly, it makes the job much harder. While there are no easy answers, the best advice that I can give to founders without a network is to engage with folks from Accel on social media and other platforms such as the Accel India blog. Such engagement should not be opportunistic — don’t reply to a tweet and ask for a meeting! Don’t blindly sell or promote your startup either. Instead, engage with VCs in a thoughtful manner: ask intelligent questions and share informed opinions. The goal should be to pique the VC’s interest enough to get him or her interested in you. Remember that VCs are always looking for promising companies and founders — do enough to get counted in this set. It is also important to have patience and not rush into trying to get a meeting. I know this is easier said than done but it is the right way to go about getting high-quality time from a VC. How Can You Get Funded? Conventional wisdom will tell you that VCs prefer category-defining technology companies that are experiencing high growth. But saying this is both trivial and not actionable. If you are presently a “hot” startup, chances are that the VCs are beating down your door already looking for a chance to invest. The best VCs seem to identify and back world-beating startups long before it is apparent to the rest of the world that these companies are destined for greatness. 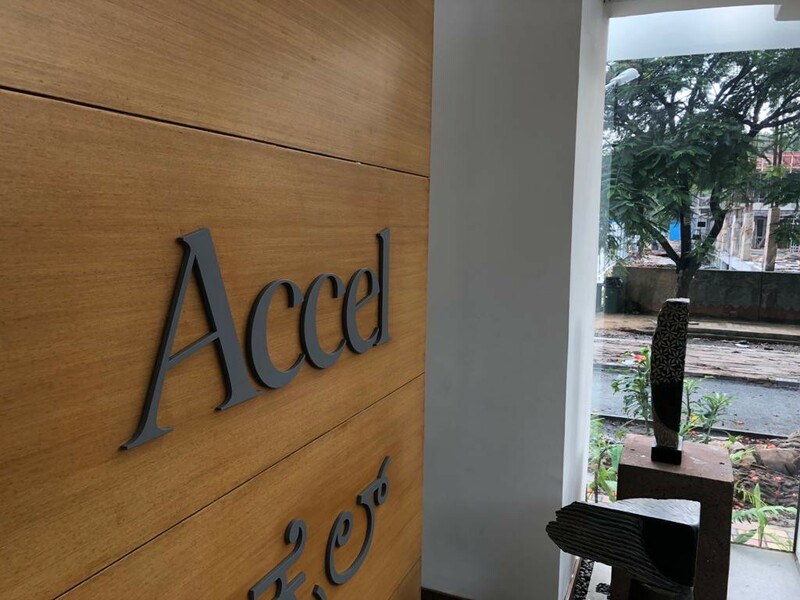 The #AccelFamily consists of such ground-breaking and innovative technology companies, such as Flipkart, Freshworks, Myntra, UrbanClap, Mitra Biotech, and many more. What is important is that in most of these companies, Accel wrote the first cheque and did so at a time when the company was probably just getting started or finding its feet. So what does this mean in actionable terms? If you look back at these companies and connect the dots, you will find some common threads connecting all of them. All these companies now operate in a market that is in the tens, if not hundreds, of billions. As a founder, can you draw up a compelling picture of how the market in which your startup operates can become as big? Further, can your startup define this market category or own it as a leader? Every VC investment is predicated on a willing suspension of disbelief. Therefore, as a founder, your job is to convince the VC that the best-case scenario for your startup is a multi-billion dollar outcome. Obviously, it helps if you already have deep experience or expertise in this sector but that is not a necessity. When Accel-backed Sachin and Binny Bansal, neither of them had any retail experience and e-commerce in India was still a very small market. Despite this, they won Accel over by demonstrating a passion for customer service (something that was unknown in the retail space at that point in time) and by dreaming of a day when hundreds of millions of people would shop online in India — a dream that might have seemed unrealistic at that time but one that Accel felt was worth taking a bet on. In a nutshell, that is all that matters: market and team. If you can nail both these aspects, everything else is secondary. I would like to end by looking at the future. My colleagues are kind enough to let me pay-it-forward by participating/championing some of these volunteer-driven initiatives as well. These initiatives are NOT sponsored by Accel. 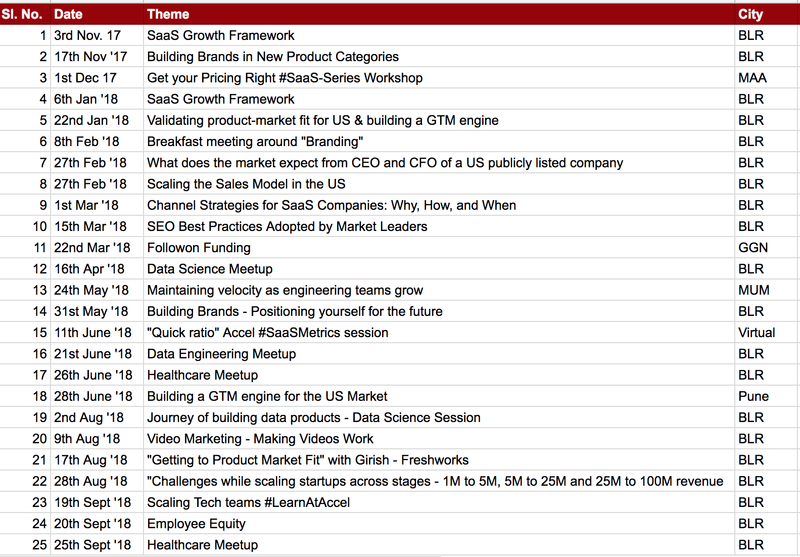 ● GrowFaster: This is a cohort of around 7 SaaS founders who meet once in a quarter. A lot of peer learning happens within this community and there is an active WhatsApp group which keeps the conversation going. ● Product Thinkers: I have curated some awesome product founders/thinkers in the B2C space and we conduct a regular product tear down. Founders help each other by sharing their learnings. Though it was established only a few months ago, I think this is a great space to enable peer learning. 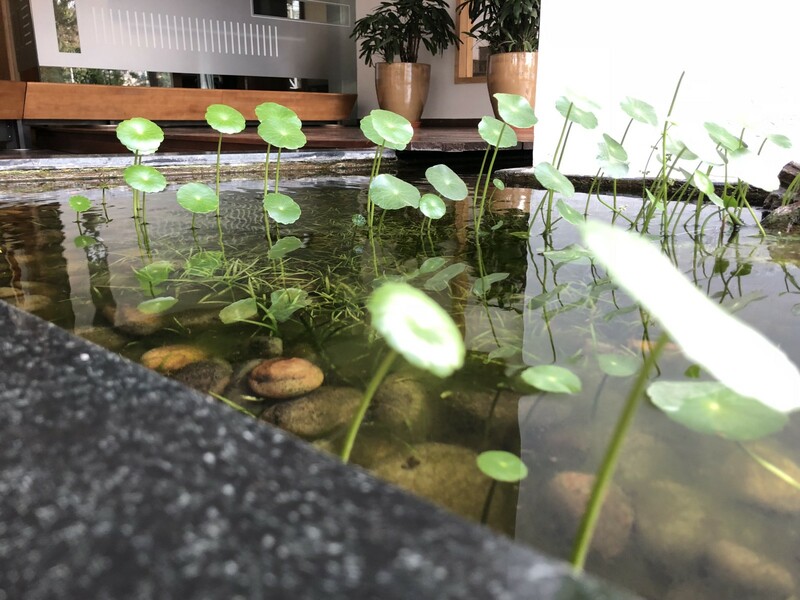 ● Refreshed.Space: A recharging space for entrepreneurs to supercharge their well-being as well as the well-being of fellow entrepreneurs in the startup ecosystem. I made the announcement regarding Refreshed.Space a few months ago and, as I write, Manju and I have helped already around 5 to 7 founders. It’s an ongoing journey and we’re very satisfied with the impact that we have made for the founders involved. ● SaaStribe: At the moment, I’m trying to create a community for SaaS founders who are catering to the global SMB Market. You will hear from me soon on this one. ● BPC: I started this new community called BreakfastPeCharcha where we do early morning walks, which include some interesting conversations followed by some delicious South Indian food in the streets of Malleswaram and beyond. ● Founder’s Trek: I organised a trek for around 14 founders early this year and hopefully will be doing something similar next year. Overall, it has been an amazing first year for me at Accel and I feel quite fortunate to be part of the Bangalore and Accel ecosystem. Here’s to the good times to come! Accel India Insights follows the stories, lessons and journeys of our community of entrepreneurs. We back and support people and their companies from the earliest days through all phases of private company growth.